"Fear and doubt are signs of a strong heart. They push your heart, strike out in new directions! " 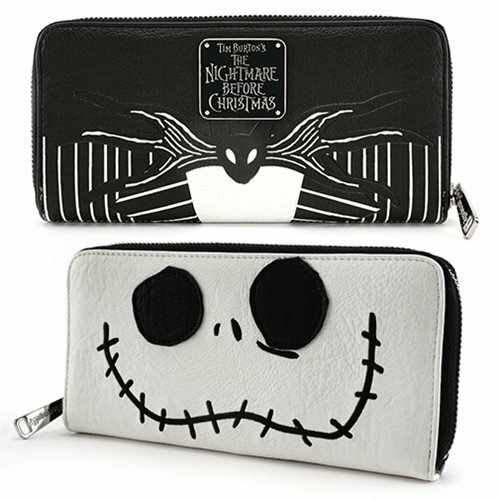 If you're a fan of the Tim Burton classic, The Nightmare Before Christmas, be sure to pick up this Nightmare Before Christmas Jack Skellington Face Wallet. Designed to look like the head of Jack Skellington, the movie's protagonist, this unique wallet is bound to add a layer of mystery to your outfit. It is made of faux leather and has printed, embroidered, and applique details. This zip around wallet measures about 8-inches wide x 4-inches tall. Ages 13 and up.